Parkinson's Resources of Oregon understands the value of every contribution. We operate on a lean budget, relying on grant funding, corporate support and donations from generous individuals like you. With the help of your investment, we are able to continue fulfilling our mission of empowering people with Parkinson's disease daily through education, information, and advocacy for a cure. Online: Click here to make a contribution through Network for Good's secure site. Phone: You are welcome to call us toll free at 800.426.6806 where our staff are happy to process Visa, Master Card, AMEX, and Discover transactions. In Person: We invite you to visit our offices and say hello to our staff and volunteers while dropping off your contribution. Here you can see first-hand the resources you are positively impacting! Making a monthly donation can often be easier than a larger annual gift. This can be set up through your checking account and even earn you bonus points on a credit card. *Be sure to check if your employer matches gifts to double your giving power! Give as you Get through several partnering organizations – just link to Parkinson's Resources with any of the below retailers and have a percentage of your purchase benefit PRO at no additional charge to you! Click here to learn more. For questions about your contribution to Parkinson’s Resources of Oregon, please contact Lauren Tietsort, Development Director at 503.344.6952 or lauren@parkinsonsresources.org. Parkinson’s Resources of Oregon is a 501(c)3 nonprofit. You will receive acknowledgement of your tax deductible donation. Thank you for your support! For more than 35 years PRO has continued to rely on the dedicated support of individuals committed to our Parkinson’s community. We are honored to welcome every level of donor to the PRO family and pleased to establish donor levels that reflect the large investments made to support our services by generous individuals in our community. A common theme heard regularly with our clients is “the Parkinson’s journey” and being on this path together. We have applied this theme to our Journey Circles and welcome the opportunity to share more about investing in customized programming critical to the wellness of our Parkinson’s community. $1,500 – Journey Circle recognizes a donor’s first steps on the journey to provide sustainable services to the Parkinson’s community. 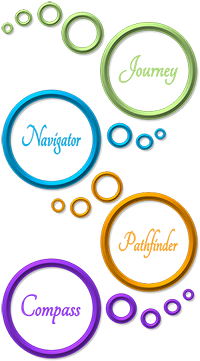 $5,000 – Navigator Circle distinguishes a donor’s to join PRO side by side and support the direction of the organization. $10,000 – Pathfinder Circle identifies those donors who are investing at a level to helps to clear the path to deeper services. Legacy – Compass Circle welcomes donors who have included PRO in their estate plans thereby providing a timeless level of support and guidance.